Tech-savvy health care is making a difference to both the well-off and those with limited resources and access. On August 2011, a 45-year-old homemaker and mother of a school-going child - who prefers to remain anonymous - was diagnosed with breast cancer. Doctors at the Bangalore facility of HealthCare Global - a chain of hospitals focused on cancer care - where she was treated, initially felt, based on past experience and available research, that the best medication to tackle her tumour would be Herceptin. She was given Herceptin injections, but the treatment did not seem to work - the cancer not only recurred, but started spreading to other organs. In cases like hers, Herceptin usually has a 60 per cent chance of success. Doctors then carried out genetic testing on the patient. They discovered she had a gene mutation - or gene error - that would make her unresponsive to standard treatment like Herceptin alone. She did not possess the actionable gene that makes this particular drug treatment work. But further investigation of her genetic make-up located another actionable gene which had not been identified till then, and which could be put to work by adding another drug alongside Herceptin. The combination worked - the patient is now stable with the tumour arrested and shrinking. Such personalised treatment for cancer using genomics has been growing in India. HealthCare Global has a dedicated research centre for gene testing, where around 1,000 people have been tested in the last 18 months. Patients come not only from all parts of the country, but even from African and South-East Asian nations to avail of its facilities. Experts say that in around 45-50 per cent of cases, gene testing reveals mutations that have 'clinical utility', in that they provide clues to changing the therapy being used, and in another 30-35 per cent they have 'prognostic value', clarifying whether the patient will react positively to a particular line of treatment. In the latter case, it helps avoid exposure to particular kinds of chemotherapy that would not have worked anyway - apart from being costly with significant side effects. Gene testing is also carried out on patients other than those suffering from cancer, especially those susceptible to heart ailments. Gene testing is only one component of a concerted effort in the country to understand diseases better and target them more effectively. There is, for instance, precision oncology, which uses high-end devices to provide tomotherapy, where the radiation cancer patients are subjected to is much more focused. In many kinds of surgery, robotics is increasingly being used to deliver better results (see column by Dr Devi Prasad Shetty, page 148). The use of bio-absorbable stents to correct blocked heart vessels is expected to pick up. 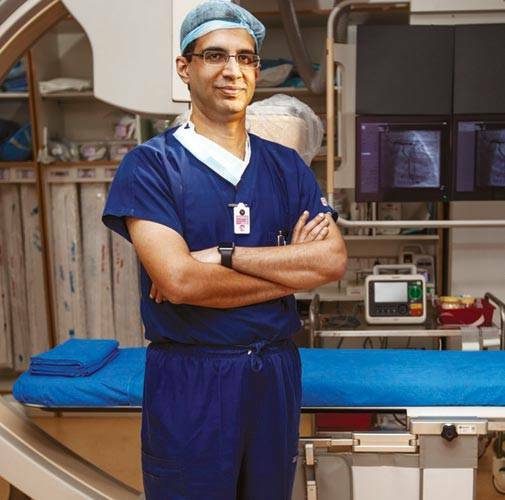 "These stents release the necessary drugs to prevent blockage for the first six to 24 months after which they dissolve, thereby restoring the artery to its normal shape and size," says Dr Rajeev Menon, Chief of Medical Services, CARE Group of Hospitals. He sees the technology evolving in this paving the way for greater ease of delivery. Another area where difference is already being made, he says, is in 'keyhole surgery', or minimal invasive surgery, which is being used for bypass operations. Yet another advance in tackling cardiac problems is Transcatheter Aortic Valve Replacement (TAVR), which substitutes a new valve in place of the damaged aortic valve through keyhole surgery. So far, its high cost - around Rs 25 lakh - remains an impediment. Cardiac Resynchronisation Therapy (CRT), a pacemaker-like device, is yet one more advance used on patients who have suffered heart failure. There is Percutaneous Coronary Intervention (PCI), for patients with severely blocked arteries, which removes the blockages using specialised wires and balloons. More effective drugs to dissolve blood clots and lower cholesterol levels have also entered the market. Stem cell therapy is gaining ground as well, being used not only for cardiac problems but even in ophthalmology. Hyderabad-based L.V. Prasad Eye Institute has employed this therapy on more than 1,000 patients since 2000. Advances made by the institute now enable the use of stem cells from a patient's healthy eye to restore vision in the malfunctioning one, with 200 patients successfully treated in this manner. Artificial intelligence is also being used to gain greater insights into avoidable blindness. In December, the same institute teamed up with Microsoft India, University of Miami, University of Sao Paolo, Flaum Eye Institute in the US and Brien Holden Vision Institute in Australia, for a worldwide study of such blindness, and subsequently using advanced analytics with Microsoft's machine learning technology to tackle it. Simultaneously, technology is also being used to make health care more affordable and accessible. In any case, health care in India is much cheaper than in the West, which explains its popularity as a medical tourism destination. 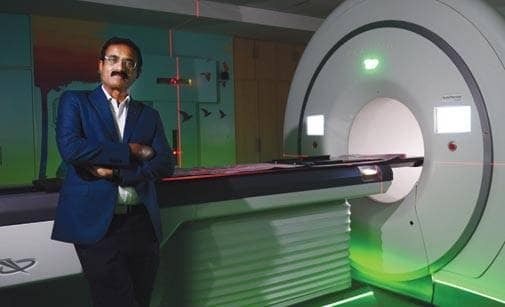 Getting magnetic resonance imaging (MRI) done in India, for example, costs around `6,000 (under $100), while the same test in the US would cost $1,000-1,200. But efforts are on to make it even more so using all kinds of unconventional means - from telemedicine systems to low-cost baby warmers and incubators to solar lighting in operation theatres located in remote areas. "It is not difficult to set up X-ray units in small towns, but how does one get the X-rays taken analysed by top-level radiologists?," says Dr B.S. Ajaikumar, Founder and Chairman of HealthCare Global. "One solution is tele-radiology in which the X-rays are transmitted to a command centre in a metro where radiologists are located." HealthCare Global has not only set up such units but also gone further by starting e-ICU or teleICU. The goal is to have its ICU units in Ranchi and Ongole in Andhra Pradesh monitored by specialists at the Bangalore headquarters. It has started by linking up with the ICU in Mysore. "Quality health care needs to penetrate Tier-II and Tier-III towns," he adds. "The big cities are saturated. As we move towards personalised health care, quality of care, positive outcomes and accessibility in these smaller places will be the biggest challenge."